Conscious Box Unboxing! Come Check Out What I Got! You are here: Home / Great Deals / Conscious Box Unboxing! Come Check Out What I Got! Have you heard about Conscious Box? If not, you might want to look into it. Hubby and I have changed our eating habits and are now not eating anything that has sugar added. We cook much more at home than ever before and we are buying fresh foods, no cans or frozen. We are really enjoying being int he kitchen and trying new things. It’s funny how your life changes, we would have never thought this would be fun before! 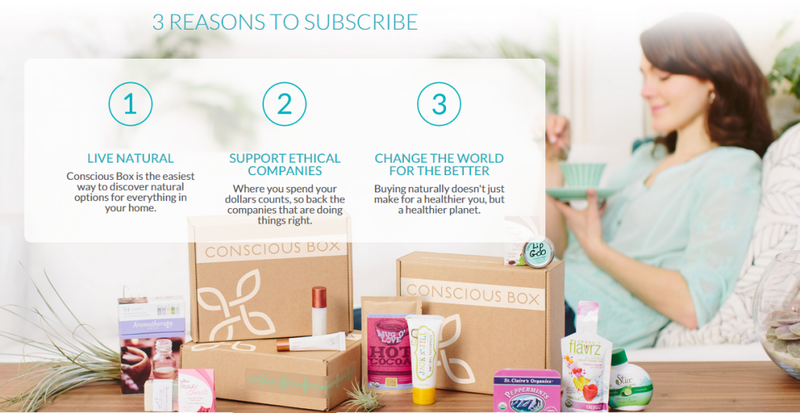 Conscious Box will allow me to try new products before purchasing them. there’s nothing I hate more than wasting something, so to be able to try something before I buy it really appeals to me. Conscious Box helps you discover healthier choices. Our personalized subscription service lets you sample the best natural, non-GMO products, every month. Find something you like? Pick up full-size favorites at deep discounts. It’s that simple. Conscious Box makes living healthy easier than ever. We sort through hundreds of natural goods like snacks, beauty and cleaning products and pick only the best. Every product must meet our standards. That means all natural ingredients and zero GMOs. We always aim to support sustainable, fair trade businesses. Choose a box type: Taster or Plus. The Taster offers a nice, monthly sampling of natural goodies. The Plus is the enhanced experience – with more full-size and premium products. Both come in three varieties: Classic, Vegan and Gluten-Free. Any way, you’re bound to discover new, healthier options to fill your home with. You also get to go back to the website and rank what you got and earn points towards other items offered on the website! I have a subscription, so each month when I receive my new box I will do an “unboxing video” to show you what’s in mine. I was pretty impressed with the fact that they don’t offer a “sugar free” box, but I filled in sugar free on my order form and I can tell that they checked out everything they added to my box, there’s nothing in it with any sugar added! I was very impressed, it doesn’t sound like it’s just a computerized packing system to me. If you’d like more info or to sign up for yourself, just check out their website!